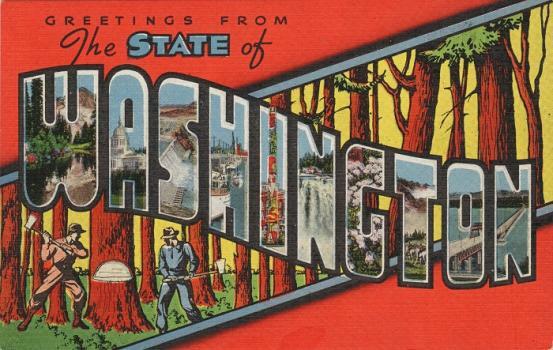 With a population of more than seven million, Washington is the nation’s thirteenth largest state. It is home to seven cities that have a population of 100,000 or more and dozens of charming towns and villages with populations of 10,000 or more. The state’s largest cities include Seattle, Spokane, Tacoma, Vancouver, Bellevue, Kent, and Everett. While artists can find lively art and culture scenes in just about any city here, the most active scenes can be found in Washington’s largest cities. For starters, the state is home to one of the Pacific Northwest’s most diverse collections of art venues. Seattle is home to a variety of must-see art museums such as Seattle Art Museum (SAM), Seattle Asian Art Museum (SAAM), Henry Art Gallery, and Frye Art Museum. The city’s downtown area features a range of public art pieces, West Seattle hosts a monthly art walk, and you will find dozens of art centers here from Pratt Fine Arts Center to Seattle Creative Arts Center (SCAC). Head to Tacoma, where you can take in the sights at the magnificent Museum of Glass or the Tacoma Art Museum and in Spokane, you will find the Northwest Museum of Arts & Culture. Vancouver is home to attractions such as Art on the Boulevard and Gallery 360, and Bellevue is home to the Bellevue Arts Museum. Head to Everett where you will find The Russell Day Gallery and Schack Art Center. Washington’s outstanding collection of art museums and galleries, the Office of Arts & Cultural Affairs in each city, the Washington State Arts Commission, and a large “working artists” community help keep the art and culture scene alive in The Evergreen State. Washington’s academic institutions also play a vital role in helping the artist community prosper. The state is home to dozens of schools that offer all types of art and design programs from painting, sculpture, and drawing to animation, game design, and virtual technology. Just a few favorites include Cornish College of Arts, Seattle Pacific University, and DigiPen Institute of Technology. Continue reading to learn more about Washington’s best options for aspiring artists and some of the programs they have to offer. Washington State is now home to 85 Title IV degree-granting institutions and possibly dozens of other schools that offer art and design programs. More than 380,000 students are enrolled in the state’s Title IV colleges and universities, with thousands enrolled in art and design programs. The following are some of the best. Washington is home to 43,500 professionals working in Arts, Design, Entertainment, Sports, and Media (ADESM) occupations. They earn an average annual salary of $52,930 per up slightly from $51,900 in 2009, when the state was home to 40,850 ADESM professionals. Of the 43,500 salaried ADESM professionals living in Washington today, 4,250 are graphic designers averaging $55,030 per year, nearly 2,000 are multimedia artists and animators averaging $75,740 per year, 680 are art directors earning an impressive $102,590 per year, and around 400 are fine artists averaging $71,200 per year. These salaries represent some of the nation’s highest salaries for these creative occupations. It is important to note that many artists and designers are self-employed, so it is safe to assume that the population of ADESM professionals in the state is much higher. These individuals typically earn more as well—especially in larger states and major cities. 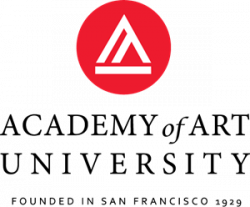 In fact, according to the Bureau of Labor Statistics (BLS), the “Independent Artists, Writers, and Performers” ‘industry’ has the highest concentration of employment (not the highest level of employment) in ADESM occupations, and it is one of the highest paying industries for ADESM professionals. Overall, independent artists average $70,620 per year. Independent artists working in animation average $75,150 per year and those working as art directors average $91,100 per year. Independent fine artists average $43,390 per year, and independent craft artists average $36,590 per year. Nationwide, the median annual wage for ADESM occupations was $43,100 in May 2014, which was higher than the median annual wage of $35,540 for all occupations. The top five states with the highest employment levels for ADESM professionals are California, New York, Texas, Florida and Illinois. While Washington did not make the top five list, of the top ten metropolitan areas with the highest employment levels in this occupation, the Seattle-Bellevue-Everett, WA Metropolitan Division holds the number eight spot.